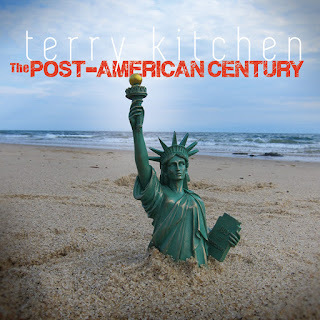 The Post-American Century Is On the Radio! WFUV in NYC has featured the CD on 2 of its shows, Sunday Supper with John Platt, and Woody's Children with Bob Sherman. 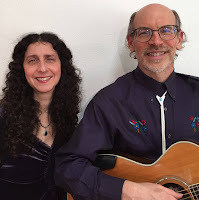 John Platt has also invited me and Mara Levine (who sings on the CD, as well as on her own CDs) to perform in the WFUV-sponsored On Your Radar concert series at the Rockwood Music Hall, 196 Allen St. in NYC on Tuesday Jan. 12 (7 PM showtime). We're very excited and hope to see you there! This past Saturday night was the release concert for my new CD The Post-American Century. It turned into a special evening, so I thought I should acknowledge and thank everyone who was a part of it. As a 'solo' artist, it was a rare treat to have so much support onstage, and it was both musically satisfying and a heck of a lot of fun. My friend Mike Delaney, who generously lent me his mandolin for the recording sessions, was on hand to play it himself, and also did a very moving version of my song "Heaven Here on Earth." 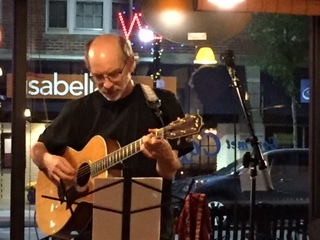 Tom Smith, who I often hear at our monthly NSAI songwriters' group, contributed a beautiful song about songwriters and other artists being keepers of the flame. Brian Middleton (joined by Brice Buchanan) did a song himself and then nailed the high harmony on my prison ballad "Can't Remember Life Before I Got Here." Amy Malkoff joined me for her beautiful harmony on "Tall Against the Wave" and then helped me twang it up with "Everything Makes Me Cry These Days Except the Rolling Stones." Mara Levine, who's on four tracks on the CD and who came all the way from New Jersey to be part of the show, sang her duet vocal on "Eternity" and her moving harmony on "Sequel" (which the album title is taken from). After a break in which my beautiful wife Cindy gave out slices of carrot cake in honor of my just-passed birthday, I invited members (both real and honorary) of my '80s band Loose Ties onstage to shake the rafters. Barry Singer contributed flute, sax and keyboards, Brice Buchanan stoked his Fender Telecaster, and even Bill "Fabulous" Kuhlman came up to sing "Heard It Through the Grapevine." Rebecca Lynch sang "Same Heart Twice" from the Next Big Thing soundtrack, Deede Bergeron came up for "I'll Make it Right," and John Coffey added bass throughout. 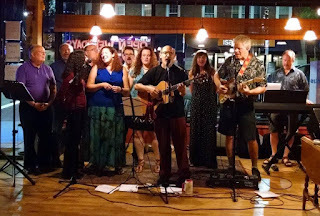 We closed with a smokey "Rainy Night in Georgia" and then encored with everybody onstage to moan along with "Take Me Blues" from my very first CD. 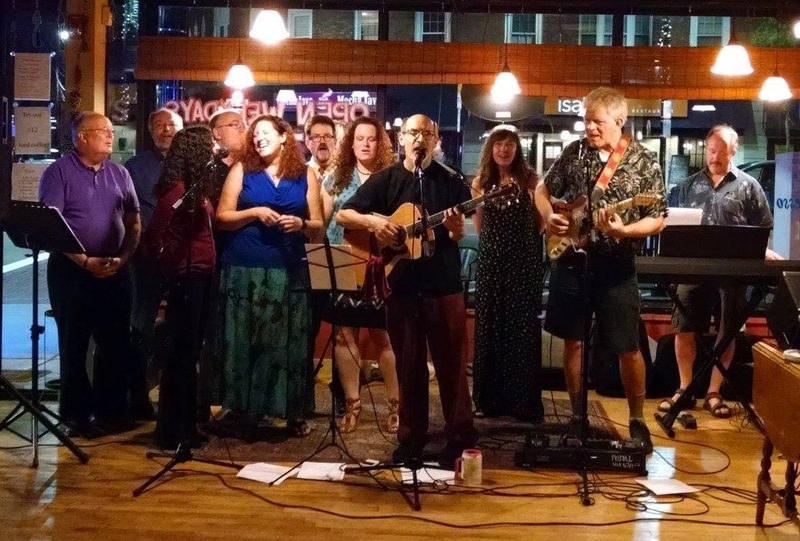 It was great to hear everybody do what they do, and have them add their talents to my music. Maybe we should start a band... I also thank everybody who came out to hear the show, and anyone who bought a CD and some of Mara's hand-made jewelry. And Raymond and the Paradise Cafe for having us. (And event photographer Susan Peisner, who took the above picture.) Traveling for gigs is often lonely, so it was great to have such a welcome homecoming and such a great send-off for the CD. Thanks if you were there, and if not you missed a good one. It's been about a year since my mother Carolyn (known as Peachy to her family and friends) took a turn for the worse. 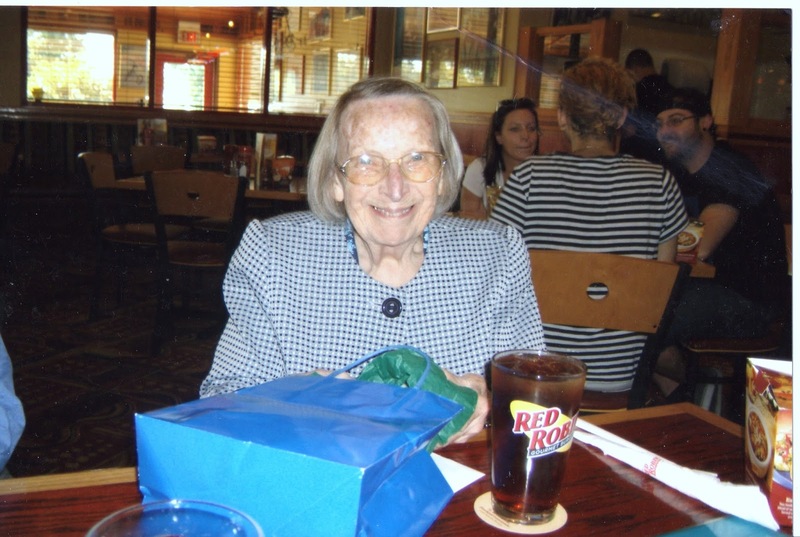 We spent last summer and fall visiting her as much as possible, and she passed away as an early snow fell. She'd really been leaving us in stages, as her Alzheimers progressed, so by the end it was no surprise or tragedy, but it was still hard, and I am grateful to her caregivers, our extended family and friends, and the members of her church who both kept my mother company and made us feel welcome and loved. The next stage was a combination of grief and scrambling to settle my mother's affairs - going through her house for mementos of not just my parents, but of my late sister, and my own childhood; donating her books to her AAUW group for their annual booksale; saying goodbye to her beloved summer cottage on the Delaware River; and finally selling the house and navigating the legal process of settling her estate. Along the way I was writing songs, and this spring and summer I had the chance to record them with some very talented friends. 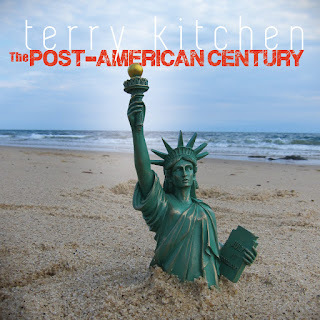 The result is my new CD, The Post-American Century. While the CD is dedicated to my mom, it reflects a wide range of stories and emotions, of life in all its messy glory at this particular moment in our country's, and and our generation's, ongoing history. I hope you enjoy it, and that it brings both joy and comfort to anyone who might need it. 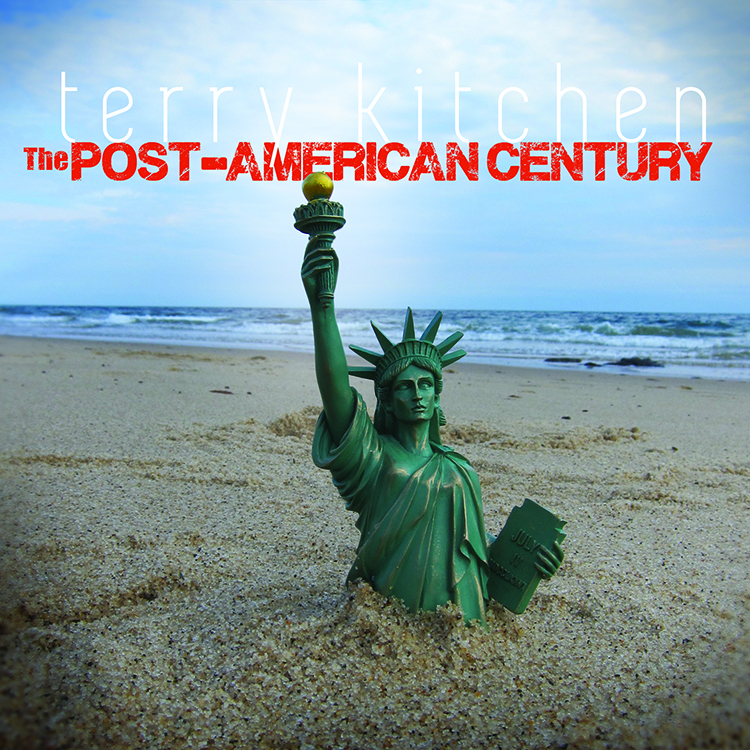 I'd like to thank all the talented singers and musicians who contributed - Bob Harris, who kicks the album off with some bluegrass mandolin on "So Much More to Home," Mara Levine, who adds a moving harmony to "Sequel" (among others) and duets with me on "Eternity," Roger Wiliams, whose Dobro shimmers through "Perelli's Barbershop," Amy Malkoff and Chris Devine, whose voice and fiddle break my heart in "Tall Against the Wave," Phyllis Capanna and Brice Buchanan, whose vocals and guitar do the same in "Stay Forever," and secret weapon Deede Bergeron, whose Arkansas twang makes "Rock of Ages" rattle the pews. I'd also like to thank my visually talented wife Cindy McKeown, who was willing to lay down in the sand for the amazing cover photo. (And special thanks for Linda and Jip for the perfect back cover photo!) Thank you for helping me turn all this feeling into music. 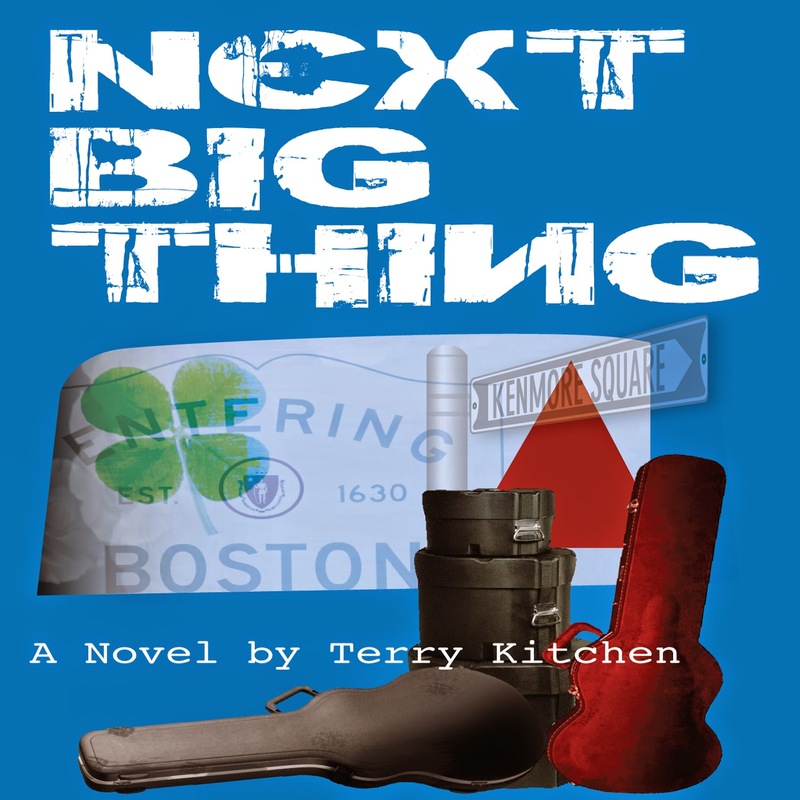 Next Big Thing Audio Book! (and you can even get it for free with a trial membership). It was fun to read aloud, and I hope you enjoy listening to it. Now back to shoveling... anybody want set up a book tour of the Bahamas?? ?